Colorado Juvenile Defense – What To Do When Your Child Is Under Arrest – When the phone rings late at night and you learn your child is under arrest or being questioned by the police – what do you do? This article contains practical advice on how to proceed..
First – Should You Retain A Colorado Juvenile Criminal Defense Lawyer Right Away? That depends. As an experienced Juvenile criminal defense lawyer – I take calls day and night from frightened parents whose children have been arrested. Often – after explaining the process and helping these parents understand what is happening – I tell them they do NOT need to retain my or any other Colorado juvenile criminal defense law firm. A Warning: While it may no be necessary to retain a lawyer – don’t be misled by seemingly “helpful” police who “just want to talk to your child, get his side of the story.” Any statements made by your child WILL be used against him in any juvenile court proceedings. Your child should never speak to the police alone. Period. In our country – the government must not only bring charges – they have the burden of proving the elements of the crimes charged “beyond a reasonable doubt.” By allowing your child to make a statement to the police, you may be corroborating or even creating evidence that the prosecution may never obtain from any other source and actually end up promoting the filing of criminal charges against your child. At times even an innocent statement can be misconstrued as an admission of guilt. Children do NOT have the life experience to understand what is going on – and parents with no familiarity in interrogation techniques – may actually open their children up to admitting to crimes or criminal acts they never committed. If you are fortunate to be permitted to visit your child before you have consulted a lawyer – immediately advise your child not to make any statements to the police or the probation department concerning the facts of the case. Under Colorado Law – contrary to what most parents believe – the police may go to the school or other location where your child can be found – such as football or volleyball practice – and speak to your child without your permission. Unless your child is under arrest or otherwise in custody, there is no requirement that he or she be given their Miranda rights and there is also no requirement that the police obtain your consent to permit the interview take place. Of course the converse is also true – the police MUST obtain your consent if your child has been arrested or is in custody at the time of the interrogation. Law enforcement often mislead children suspects by telling them about evidence against them that does not exist and other similar tactics. Children may also be are be asked by “friendly” police officers to write an “apology letter” in an effort to trick the naive child into making an incriminating statement. The so called “apology letter” can be used at trial as an “admission” against the child’s interest in the total effort to convict the accused juvenile of the crimes charged. When Is the Best Time To Retain An Experienced Colorado Juvenile Criminal Defense Lawyer? Like all crisis situations in life – preparation is key. Successfully defending your child means giving the criminal defense lawyer you retain all the critical information he or she needs when they need it. Items in this category mean your child’s social history, version of facts and criminal history ir any. The lawyer’s responsibility is to map out a strategy that is contemporaneous with the police investigation and that precedes the possible arrest and detention hearing with the intention of making certain your child is returned to your home as soon as possible. Convincing the juvenile police officers not to request that the petition be filed. Requesting the minor’s release from detention. Developing a positive plan for the rehabilitation – not punishment – of your child. Persuading the Deputy District Attorney to not file charges. Persuading the Deputy District Attorney to allow for diversion or otherwise for the matter to be handled informally without the need to go through the court system. Persuading the Deputy District Attorney to file less serious charges. Persuading the Deputy District Attorney to proceed by summons and not arrest or incarcerate your child. A “mitigation packet” has several purposes. It can be used to persuade the D.A. not file charges, to plea bargain the case successfully, or to assist a trial judge in arriving at the most lenient sentence possible under the circumstances. Gather Evidence Of ALL Positive Achievements – These include documented positive achievements by your child such as certificates of achievement, certificates, and the like. Obtain Copies Of ALL Recent Report Cards – The better your child’s grades the better the impression they will make to the authorities. Request Character and Reference Letters From Family, Friends and Contacts -These attest to your child’s character – they tell the story of just who he or she is to your friends, family and to the community. Character letters from teachers, church people, employers and neighbors are more than helpful in helping the authorities decide who to believe where credibility is at issue. Letters should NEVER be sent to the judge or the D.A. without the knowledge and agreement of an experienced juvenile criminal defense lawyer. Tell Your Colorado Juvenile Criminal Defense Lawyer Everything! Do you know witnesses who may possibly be favorable to your child’s defense? Do you have information that may otherwise be helpful to your child’s defense? Police investigations are – by definition – one sided and will often omit all crucial information that is favorable to the defense of your child. Witnesses adverse to your child’s defense are not only ignored and overlooked even if known to the police – they often will not interviewed or called as witnesses should the case go to trial. No one knows there child better than the parent – if you have information that MAY BE helpful to your child’s defense, give it to the juvenile defense lawyer as soon as you know of it. – do NOT wait – let the lawyer decide whether it can help or not. 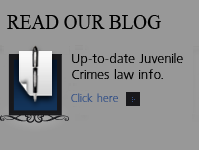 Juvenile cases are – well – different. 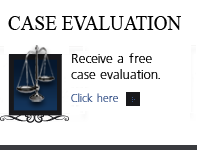 The most important criteria when you are choosing a juvenile defense lawyer is how much experience they have in Colorado juvenile court defending children. Is the lawyer you are interviewing well known to the courts in which the case is to be prosecuted? Make no mistake. 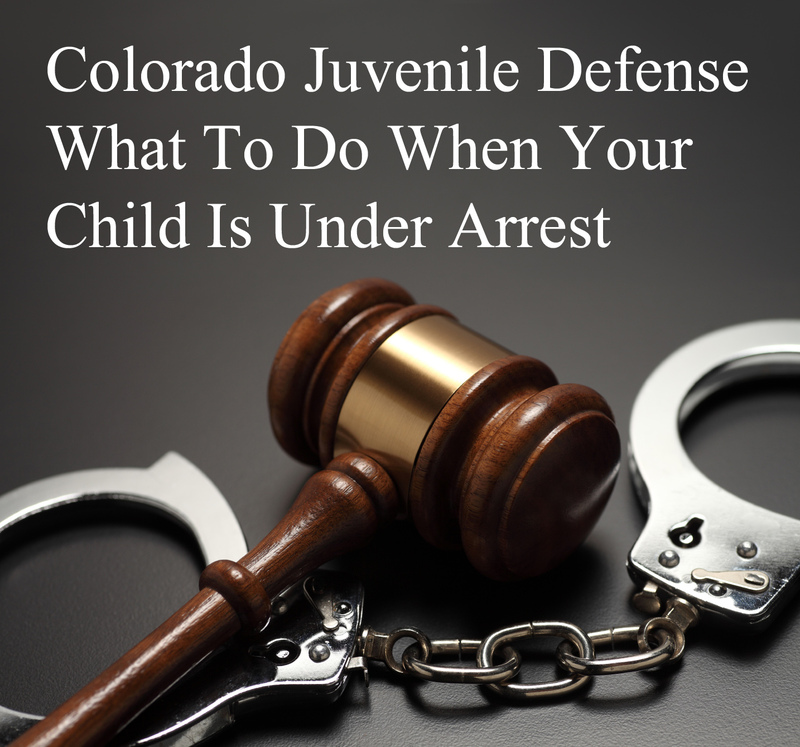 Colorado Juvenile Defense Law is a specialized field. Those who defend children on a daily basis have a major advantage over a criminal defense lawyer that primarily handles adult cases and only defends a few juvenile cases a year. ABOUT THE AUTHOR: H. Michael Steinberg – Email The Author – A Denver Colorado Juvenile Criminal Defense Lawyer – or call his office at 303-627-7777 during business hours – or call his cell if you cannot wait and need his immediate assistance – 720-227-2277. H. Michael Steinberg, is a Denver, Colorado criminal defense lawyer with over 30 years of day to day courtroom experience – specializing in Colorado Criminal Law along the Front Range. 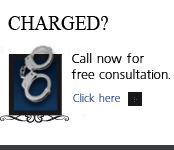 Call him if you have any questions about .. Colorado Juvenile Defense – What To Do When Your Child Is Under Arrest.